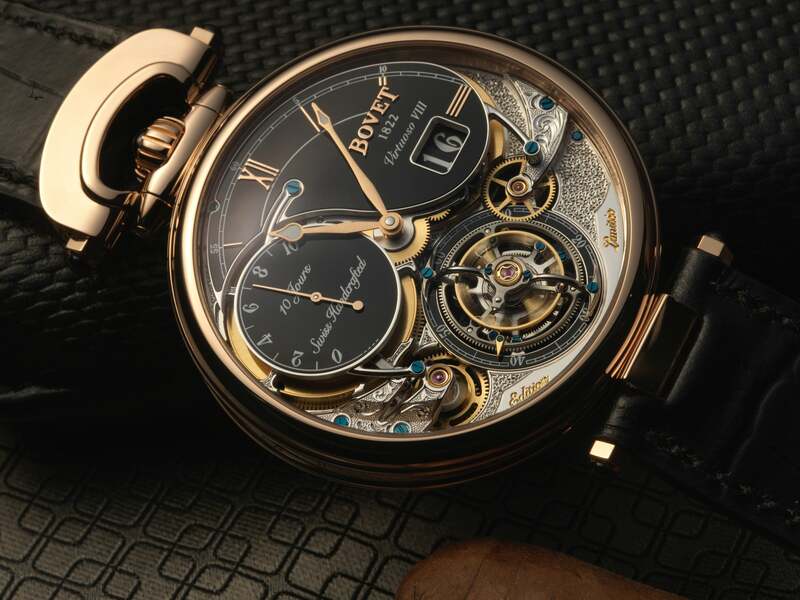 Celebrating its 195th anniversary, the House of Bovet is rolling out the new timepiece Virtuoso VIII, with the tourbillon as its accentuated feature. Available in a variety of fine options -ivory, black lacquer and blue aventurine- interested gents can choose from three cases in 18k red-gold, 18k white-gold, and platinum (with customized sub-dial colors). The high-end timepiece offers an intricate dial and details such as the hand-engraving work, blue screws, and beveling. Virtuoso VIII’s design shows off its eye-catching features in its dials, and hints an ode to the House’s historic pocket watches. If you have a penchant for form and function, this watch deserves a place in your collection.